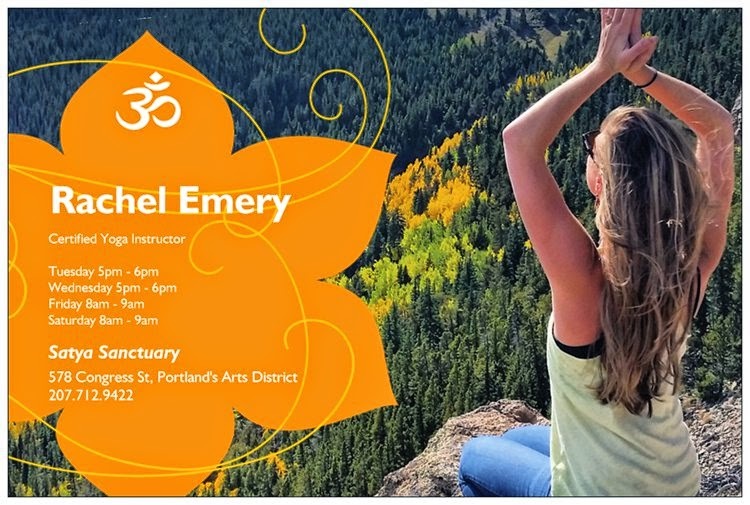 I suppose I had envisioned something different for the beginning of my yoga teaching career – namely a different location. I had invested so much of myself into my move out west that it became stamped in my mind as the foundation from which my yoga career would emerge. As I settle back in on the east coast I have found that it is not quite as familiar as I had imagined. There are suddenly all new opportunities to be had, people to meet, and the places which had become mundane to me are now fresh and new. The circumstances under which I moved back home were less than desirable and I welcomed the east coast as a sort of refuge from the unknown. I needed my safe haven back even despite the heartbreak of leaving Colorado. My concerns ran heavy as I feared falling into the same routine which I had so desperately yearned to break away from. However, I have found comfort and peace in Maine being back with loving faces and a world of new opportunity. I have begun teaching in Portland and can only see brightness on the horizon, a chance to rejuvenate and heal in preparation for my next great adventure. There is goodness in every bad thing that happens if you allow yourself to see it. My path has been drastically altered from what I had anticipated and the only way to manage the chaos and confusion is to hold on tight and keep seeing the positive. I have a warm place to live, a loving family, the man of my dreams, and a career I’ve worked very hard for – and for me, that’s enough even despite the challenges faced along the way. I am grateful for this journey and it’s unexpected nature. I will not try to fight it, nor will I try to make sense of it. I will exist in the only way I know and keep seeking the goodness that exists in even the most unforgiving of circumstances.